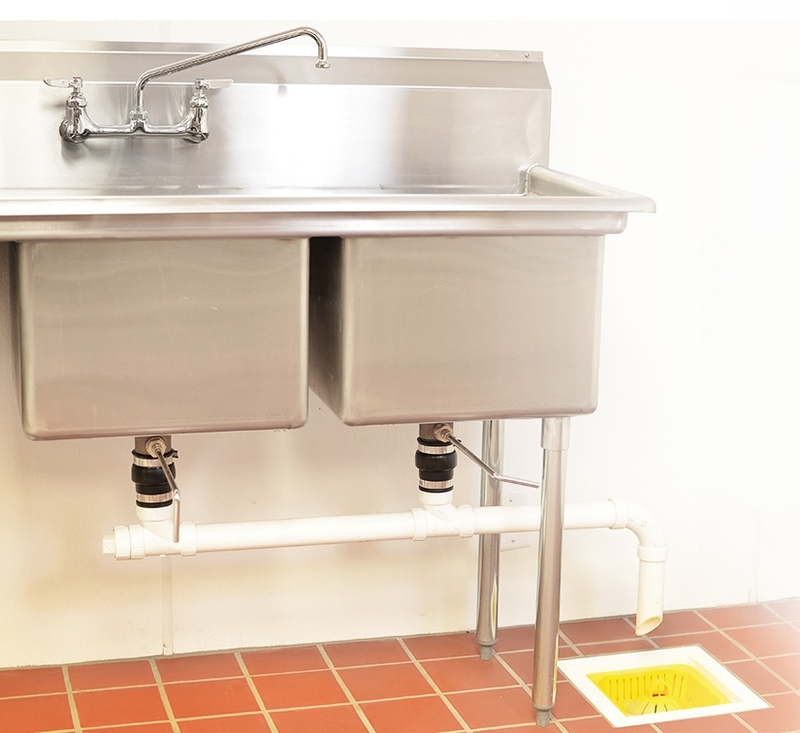 This small safety basket is designed to capture and collect the food, debris, trash, and other solid waste that can accumulate in restaurant and commercial kitchen floor sinks. This basket strainer is designed to fit 8.5" square floor sinks. Always remember to measure the inside width of your floor sinks before ordering. This basket can fit on top of our Locking Dome Strainer and most dome strainers. The basket features a handle that sticks above the outside rim allowing for easy removal. Simply remove the basket and discard the contents into a trash can. Then place back into the floor sink. Safety baskets are dishwasher safe to allow for easy cleaning. Not sure what size safety basket you need? 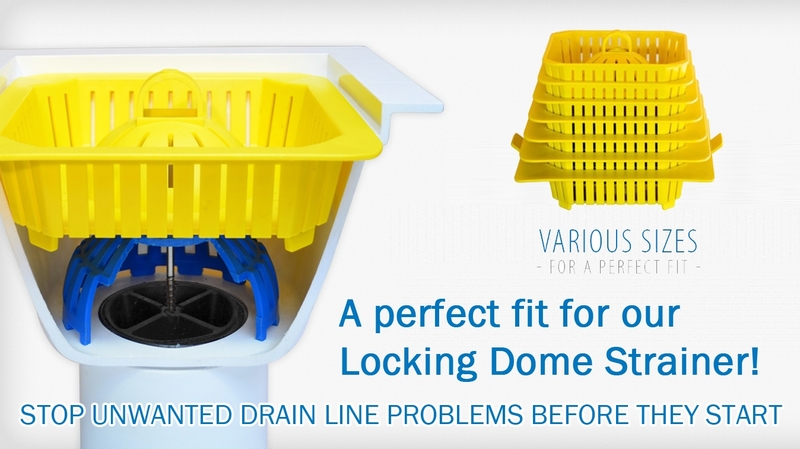 Measure the inside width of your floor sinks and Download our drain and basket sizing guide. Related search terms: Restaurant strainer basket, domed floor sink basket, permadrain safety basket, under the sink basket, yellow drain strainer basket.